Mobile applications have become a necessary part of our day to day lives. Our experienced, educated and skilful team of engineers have spent a great deal of time and research which have gone into the making of the wonderful mobile applications. Through our mobile applications, we give our customers and employees more flexibility and freedom to interact with the outer world. With the developments and solutions in the arena of mobile application, we have succeeded to offer better services to our customers and our employees have gained a secure access to the important tools and data anytime and anywhere with the help of their own cell phones. The application has helped the users with much more flexibility and new options in the ‘customer first’ economy. We have rapidly innovated the mobile applications and solutions which are user-centric to deliver the best to our customers, clients and employees. We have succeeded in reducing the total cost of ownership of our clients with operations and processes that are streamlining. The applications have helped our customers to protect themselves against the security risks and other challenges. With our innovative mobile applications, our customers and clients have transformed their business to a different dimension altogether along with their work force and partners. 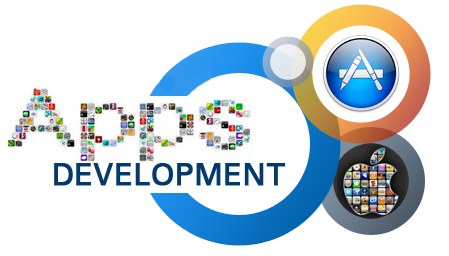 Our applications for mobiles are designed with the latest and leading-edge technology, which helps our clients to liberate the data enterprise, accelerate the key processes of business, makes decision speedily and engages the consumers in a much better manner for earning a revenue which is maximised and productivity which is sky-high. With our mobile applications one's end to end business processes can accelerate tremendously and gain high efficiencies. We able to understand our client’s line of business and the industry to which it belongs and provide them with their needed role and work based applications. The applications make prompt responses with the mobile analytics and hence speed up the process of making intelligent decisions. Productivity and efficiency are both improved by these mobile applications. The applications are extremely engaging which help to retain, win and entice the customers on behalf of the clients. We also develop custom mobile applications. We have successfully generated mobile apps for industry, customers and other lines of business. We welcome others to join us and explore our mobile apps. Our services are not at all expensive and can easily fit the budget of small and medium scale companies.